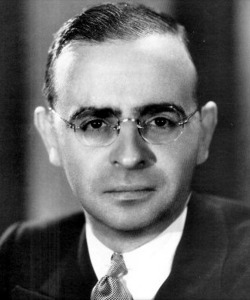 Max Steiner, perhaps more so than any other iconic Hollywood film composer, is a difficult sell for contemporary audiences. On the one hand, in Hollywood he was and remains universally acknowledged as the “father of film music.” As a composer, Steiner’s music had extraordinary influence on the techniques, approaches, and conventions that remain the foundation of film music in the Western world. It was Steiner who established the Wagnerian leitmotif convention for cinema, Steiner who pioneered the click track, Steiner who gave us the concept of “Mickey Mousing” (though that certainly isn’t what he called it), Steiner who made people realize the role that music can play in establishing a picture’s sense of spectacle, and Steiner who established the defining cultural music idioms in nearly every genre he touched. At the same time, many of the conventions that Steiner established now seem so clichéd that modern audiences struggle to take his music seriously. For today’s audiences, Steiner’s “Mickey-Mousing” can seem comically literal, his character motifs superficial, his emphasis on spectacle overwrought, his cultural idioms offensive, and his heart-on-the-sleeves approach to drama melodramatic. In our current post-postmodern film culture, we expect film music to be so subtle that practically apologizes for its existence, and we get uneasy with any emotion that isn’t first coated with several layers of protective irony. So we don’t quite know what to make of Max Steiner, who proudly wears his emotions smeared on his sleeve and broadcasts them for all the world to see (or hear). How then can we reestablish our relationship with Max Steiner? Is he simply the sort of iconic figure that we can’t stand but grudgingly respect out of obligation? Or is there actually something that we, in our irony-addled age of cynicism, can actually learn from Max Steiner? To answer these questions, it may help to turn back to the beginning. Born in Vienna in 1888, Max Steiner was a child musical prodigy who, as a young teenager, studied under the likes of Johannes Brahms and Gustav Mahler. By the age of sixteen, he had already composed his first operetta and by the age of 17, he was serving as the conductor for His Majesty’s Theater in England. In 1915, however, he left England for New York City, where he spent eleven years conducting, orchestrating, and arranging for Broadway and other theater shows. Here he arranged for the likes of Jerome Kern, George Gershwin, and Florenz Ziegfeld, augmenting his earlier classical training with American popular music. During this period he also began experimenting with composing and conducting music to silent films, laying groundwork that would be crucial in his later career in Hollywood. It is perhaps worth pausing here to consider the impact that this varied musical background had on Steiner’s later work in film. We see from the earliest stages, a gifted musical mind equally at home with “high” and “low” music, a composer who can move from Romantic European opera to American popular music without missing a beat. And perhaps even more crucially, we see a composer breaking into film scoring by composing for silent films. Silent film music throughout the 1920s encompassed a very wide range of forms and approaches, but whether performed by a man at a piano or an orchestra performing a commissioned score, the music has its roots in improvisation and reaction. More often than not, a silent film composer is not part of the film’s production team, and has no insight into the director or writer’s intentions. A silent film composer instead reacts to the events onscreen much like any other member of the audience; as the silent film composer tends to occupy an audience position rather than an authorial position. Music serves not as some omniscient insight into character secrets, but rather as an enhancement for the emotions that the audience is already feeling. This is the tradition into which Steiner cut his teeth, and he used its conventions to transition film music into the age of Hollywood talkies. So when a Steiner score seems to be sitting on the surface, responding to emotions and actions that we can already see and feel for ourselves, remember that this is part of the point – like a silent film score, a Steiner score is watching the film with us and enhancing our emotional response. And even in these early days, people noticed. In 1929, Steiner’s work attracted the attention of RKO Studios, who hired the composer to move to Hollywood and arrange music for the picture, Rita Rio. He subsequently became the studio’s music director, a role that initially consisted of little more than composing opening and closing titles for pictures, with perhaps a few minutes of incidental scoring in between. This changed dramatically, however, when Steiner began collaborating with Merian C. Cooper and Ernest B. Schoedsack. Beginning with 1932’s The Most Dangerous Game and reaching its full potential with 1933’s King Kong, Steiner’s music for these films achieved something entirely unprecedented. No longer was film music relegated to the opening credits and a few minutes of transitional music. Now fully developed symphonic music poured over reel upon reel of film, serving almost as an opera-ballet that happened to run parallel to the film. Chase scenes raced with propulsive action music, love scenes swooned with beautiful melodies, and horror scenes roared with a nearly sublime sense of spectacle. All were woven together with a Wagnerian network of themes and motifs that organized characters, their fears, their loves, and their desires into identifiable melodic signifiers. The audience response, particularly to King Kong, was explosive. With Kong, Hollywood finally realized that the music in all of those silent films hadn’t simply been an auditory placeholder for synchronized sound – it was an integral component of film’s language of affect, a subliminal force that tapped directly into the audience’s emotional response to cinema. Were King Kong the only film Steiner scored, he would likely still be one of IFMCA’s Legends. But King Kong was only the beginning of an astonishing career that seemed to establish the conventions for every genre it touched. For period swashbucklers like The Three Musketeers (1933) and The Adventures of Don Juan (1948), Steiner balanced exuberant heroic fanfares with regional and period idioms. For Westerns like Dodge City (1939) and They Died with their Boots On (1941), he established a makeshift Americana based on both folk tunes and patriotic songs (in this genre he also, for better or worse, established the now-stereotypical open-fourth idiom for Native Americans). For melodramas like Now Voyager and Dark Victory, he developed the unabashedly weepy and romantic melodies that we now associate with “tear-jerkers.” And for historical epics like Charge of the Light Brigade and Gone with the Wind, he both enhanced and organized mammoth spectacle with an almost-overwhelming number of interlocking themes and motifs. Now it would be a crass simplification to say that in all of these genres, his approach was the same. However, Steiner’s method was evident in seemingly every genre he worked in. A Wagnerian framework of themes and motifs, generally resulting in one central theme for the movie and several shorter motifs for the characters or groups of characters. Careful attention to physical movement and action (another holdover from his days scoring silent films). And above all else, a full emotional embrace of whatever tone the scene in question seemed to be communicating. If the film wanted us to be afraid of Kong’s entrance, then the music needed to be terrifying. If the film wanted us to cry when Brett walks out on Scarlet, then the music needed to destroy us with a heart-wrenching melody. And in both instances, the emotional effect would be even more powerful if it came from a theme, an established melody with which we’d already developed an emotional relationship. The overall effect might not have been subtle, but then, neither were the pictures. Of course, as decades passed, that began to change. As the country’s national mood darkened midway through the 1940s and into the 1950s, so in turn did its pictures. New composers like Bernard Herrmann and Miklos Rozsa entered to bring layers of psychological and emotional ambiguity to film music. No longer was film music exclusively a conduit for the audience’s reaction – now film music began suggesting things that weren’t immediately obvious on the surface, playing with complex character psychologies and morally cloudy undercurrents. Music of this sort was perhaps not Steiner’s forte – the composer was arguably far more suited to spectacle and melodrama where the thematic and moral boundaries were more tangible. Listen to Steiner attempting to be “dark” in something like The Treasure of Sierra Madre (1948), and you’ll hear a composer clearly more comfortable writing exuberant melodies than probing the darker inner demons of the film’s antiheroes. Yet Steiner certainly did not fade from significance in this period. In fact at times, he was able to use his romantic disposition lift otherwise bleak films out of the depths of misery. Nowhere was this more evident than in Casablanca, a seemingly cynical war drama that we nevertheless now regard as one of the most crowd-pleasing screen romances of all time. Much of the reason that we read the film as a bittersweet love story and not a jaded war drama comes from Steiner’s unrelentingly romantic score. With Casablanca, Steiner took the melody from the popular song “As Time Goes By” and transformed it into a love theme that virtually dominated the film. In fact, so forcefully did the love theme dominate the film that it shaped and continues to shape the way audiences remember Casablanca. Steiner’s interpolation of that popular Broadway song into his signature European Romantic orchestral idiom also speaks to Steiner’s rare ability to negotiate between high and low art so fluidly that the distinction becomes meaningless. For Steiner, European concert music and Broadway show tunes needed no separation, and his music was enormously accessible and popular with mass audiences as result. But when we come to the end of it, is that the best we can say for Steiner – that he only knew how to manufacture melodrama, spectacle, Mickey-Mouse mimicry, and crowd-pleasing pop hits while his colleagues were busy creating art? First off, no – that is an enormous generalization that only scratches the surface of Steiner’s legacy. But even if this criticism is true, we need to re-evaluate those disparaging terms themselves. What is melodrama, after all, but a direct and unapologetic encounter with our passions in their purest forms? Can we really undervalue artistic merit of “Tara” in Gone with the Wind if its raw emotion affects us so powerfully? And if Steiner was intent on drumming up the spectacle whenever possible, think on how breathtaking Steiner’s version of spectacle actually was. As we wait for the entrance of Kong and the orchestra modulates and modulates with wild frenzy, Steiner isn’t just wallpapering a superficial scene over with artificial excitement – he’s pushing us into a terrifying and thrilling emotional state, opening film as a potential encounter with the sublime. And yes, his Mickey-Mousing can be distracting, especially as we now associate the technique primarily with animated comedy. But listen to the way Steiner’s music follows Bette Davis’s every footstep as she runs down the staircase at the climax of Now, Voyager, and it’s clear that Steiner isn’t just mimicking action for mimicry’s sake. He’s scoring every step, yes, but he’s also capturing all of the nervous giddiness that the actress carries as she runs down those steps. For Steiner, action is affect, and if you can capture the emotion in an actor’s bodily movement, you can capture the emotion of the scene. Mickey Mousing for Steiner isn’t simply an act of mimicry; it’s an act of emotional interpretation. Lastly: if Steiner was so adept at crowd-pleasing melodies, do we really have to be philistines to love him for it? Is it really such an artistic failing to take orchestral music and make accessible to the a large audience, to break Wagner out of the concert hall and into the realm of popular culture? You could very easily credit Steiner, after all, for the fact that these 19th century orchestral idioms still have relevancy in our popular cultural consciousness. Certainly we needed people like Stravinsky and Bartok to push the boundaries of orchestral music, but we also needed people like Steiner to keep orchestral music accessible. And while Steiner seems out of fashion now, his legacy and influence continue to resonate. We still hear composers working in that neo-Romantic idiom, organizing music into themes and motifs, thrilling us with spectacle, and capturing action and emotion in equal measure. True, we probably hear this more today in animated films than in “serious” live-action dramas, but animated films are also rapidly moving to the center of our movie-going culture. And if Steiner’s heart-on-the-sleeves exuberance and unapologetic sincerity seem old fashioned and irrelevant in our irony-addled culture, remember that these things come in waves. We’ve gone through many a cynical period over the past century, cynical periods that have made us briefly seem too jaded and emotionally detached for the likes of Steiner. But all it takes is another Star Wars or Batman, and we’re reminded once again how much we crave leitmotif driven and emotionally charged orchestral spectacle. Until then, set your clock back, turn on The Lost Patrol or The Adventures of Mark Twain, and remember – you don’t have to be embarrassed if the music actually makes you feel something. King Kong: My vote for Steiner’s masterpiece, though there are certainly worthy rivals to that title. Pure adventure, romance, terror, and sublime spectacle sustained for over 70 minutes. And while this is obviously one of the most historically important and influential scores ever written, it remains one of the most accessible and entertaining. Also, contemporary fans of people like John Williams, Danny Elfman, and James Newton Howard should turn to King Kong if they want to hear the starting point for many of the aforementioned composers’ core ideas. Several recordings are available, but the best – and currently, the cheapest – is Morgan and Stromberg’s reconstruction of the entire score on the Naxos label. Gone with the Wind: Those who disagree with me on King Kong as Steiner’s masterpiece will almost certainly turn to this one. They have a point – mixing traditional American melodies with his own intricate network of themes and motifs, Steiner wrote what was for decades the defining musical portrait of the South during American Civil War (or at least the defining portrait from the White Southerners’ perspective). Lavish melodies, rich melodrama, and a painstaking recreating of time and place have made this one of the most iconic scores ever composed. Again, many recordings are available, and I suppose I should encourage you to seek out the lavishly produced double-disc set containing nearly the entire score. But while there are excellent highlights on this set that are unavailable elsewhere, working your way through two-plus hours of abrasive sound quality can be a bit of a chore. So I’d turn first to the Gerhardt 1974 recording on RCA. The sound quality and performance are astoundingly good, and at just north of 40 minutes, Gerhardt’s suite gives you the perfect listening experience. It’s just been reissued, and at a very reasonable price. Now Voyager and All This, and Heaven Too/A Stolen Life: Here things get tricky. No Steiner collection should be without some representation of his seminal scores for Bette Davis’s melodramas, and Now Voyager is arguably the most important. However, at present the only soundtrack recordings of this score seem to be short suites in scattered compilations albums. These albums themselves are often excellent, and if you can track down copies of the out of print Gerhardt compilations Now Voyager: The Music of Max Steiner or Classic Film Scores for Bette Davis, do so (RCA is bound to reissue them soon). Barring that, Morgan and Stromberg’s album All This, and Heaven Too/A Stolen Life on Naxos features excellent recordings of two of Steiner’s best Bette Davis melodramas and comes highly recommended in its own right. Casablanca: Another milestone, and perhaps the best representation of Steiner’s ability to merge popular American Broadway music with his neo-Romantic European orchestral training. Also, the music is just beautiful, and the way Steiner breaks “As Time Goes By” into triplets to maximize on the emotional effect is nothing short of stunning. An official soundtrack recording is available, but unfortunately it’s overrun with dialogue and sound effects from the movie. While it’s certainly hard to beat the dialogue from Casablanca, those wishing to hear Steiner’s music uninterrupted might be better suited with the extended suite on Gerhardt’s Casablanca: Music for the films of Humphrey Bogart, recently reissued by RCA. At just over 12 minutes, it provides a fine representation of Steiner’s score without constant interruptions from the film’s source music and dialogue. And the album is also full of extended suites to other great scores by Steiner and other film music legends. They Died with Their Boots On and The Searchers: Steiner’s contributions to the Western genre were integral in establishing many of the genre idioms that we now take for granted. Unfortunately, while the music remains thrilling, Steiner’s ethnocentric approach to Native Americans can leave modern listeners feeling uneasy, and with good reason. They Died With Their Boots on contains thrilling passages of action music, but it’s also responsible for the menacing open-fourths that transform Native Americans into objectified savages. Steiner seemed to criticize this development himself, however, with his score for John Ford’s The Searchers, arguably the composer’s last masterpiece. Here, the stereotypical “Indian” music remains, but now that music only serves as a projection of the protagonist’s own crippling racial hatred. Like Ford’s film, Steiner plays off of the established racial tropes and idioms in order to critique the ugly bile and prejudice that underlies the cultural rhetoric of “Cowboys versus Indians.” Unfortunately, the soundtrack for The Searchers is out of print and fetches exorbitant prices on the secondary market. Until it returns, Morgan and Stromberg’s excellent recordings of Steiner Westerns like They Died with Their Boots On and Virginia City/The Lost Patrol are excellent starting points. But ultimately, it’s all worth discovering. Anonymous. “Max Steiner (1888-1971). Liner Notes. King Kong. Naxos, 1997. CD. Burlingame, Jon. Sound and Vision: 60 Years of Motion Picture Soundtracks. New York: Billboard books, 2000. Morgan, John. “Arranger Notes.” Liner Notes. They Died with their Boots On. Naxos, 1998. CD. Wegele, Peter. “Der Filmkomponist Max Steiner (1888-1971).” Böhlau, 2012. Whitaker, Bill. “Lost Worlds and Forgotten Music: Max Steiner’s Legendary RKO Scores.” Liner Notes. The Son of Kong/The Most Dangerous Game. Naxos, 2000. CD.